The Sisters of St. Joseph of Chambery, members of the CSSJ United States Federation, are calling for all Americans to come together in the spirit of unity and reconciliation and build relationships based on respect. As a nation, we have experienced a rancorous and divisive political campaign season marked by rhetoric of anger, hate and distrust which has left our nation hurt, broken and conflicted. We have new national leadership and we need to continue the process of healing and moving forward in the belief that reconciliation and trust are possible. 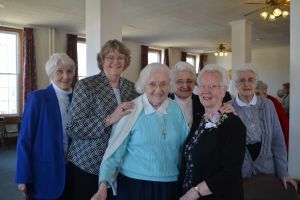 God creates newness out of brokenness and chaos and, as Sisters of St. Joseph, we believe in fostering unity that's not uniformity, and diversity that's not division. We carry out our mission of unity by making every attempt to address the pressing needs of our society and world. 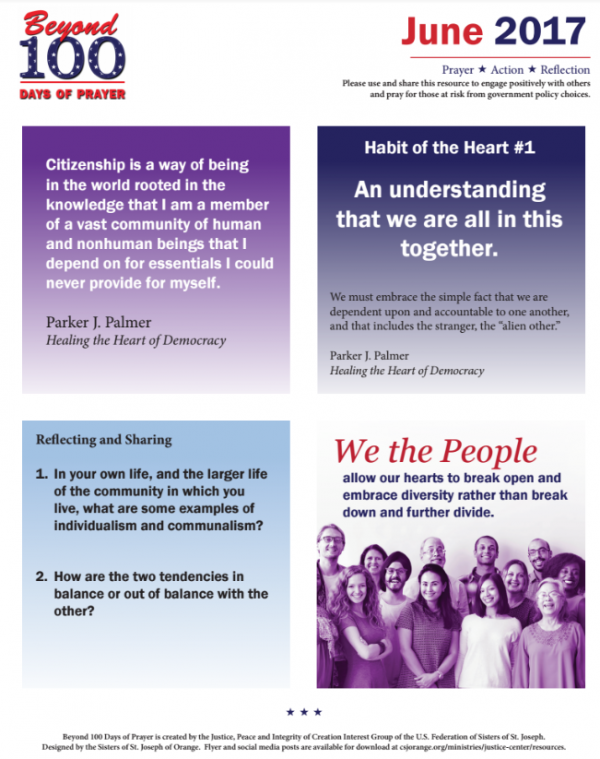 We believe what is needed now in our nation is real healing and a movement forward as one human family, whatever our national, racial, ethnic, economic and ideological differences may be. As our nation moves forward with our elected officials, all Sisters of St. Joseph, along with their Associates and Partners in Ministry, are reaffirming our commitment to our mission of living and working so that all may be one. Please join us by following the calendar suggestions for prayer.